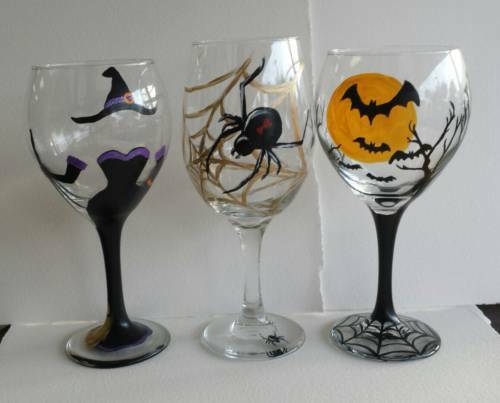 Create 2 glasses of your choice for Halloween. Come have some fun, meet new friends, and enjoy a night out. Feel free to BYOB or bring snacks. You can even order a pizza if you like. Please make sure to reserve your space at least 25 hours in advance. Call the studio if seating is closed on the day of the event. This painting will take about 1 ½ to 2 hours to complete. Please come 10 to 15 minutes early to be seated and get comfortable.